You’re going about your routine, making your car payments, and suddenly, you forget when they’re due, or what your total balance is, or how many payments you have left, or if your spouse already paid this month and might have forgotten to mention it to you again. Well, at Santander Consumer USA, we’ve got you covered in all those cases and a lot more. 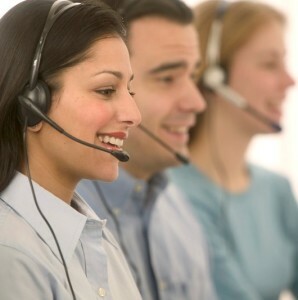 Our customer service department can handle just about any question you have, and make you glad you picked up the phone. Need to find out how to pay online? Not a problem. Looking for information on setting up automatic payments? We can do that. Trying to find the perfect gift for that special someone? Well, maybe not that. Our website is fast, easy to use, and 100% secure. Once you sign in to your account, you can check your balance, make a payment, update your information, and even make changes to your account, like setting up automatic monthly payments. We’re proud of our Santander customer service department, and we think that they’ll make you happy too. If you need them, they’re always there, with a friendly greeting and a quick solution. Contact us today!